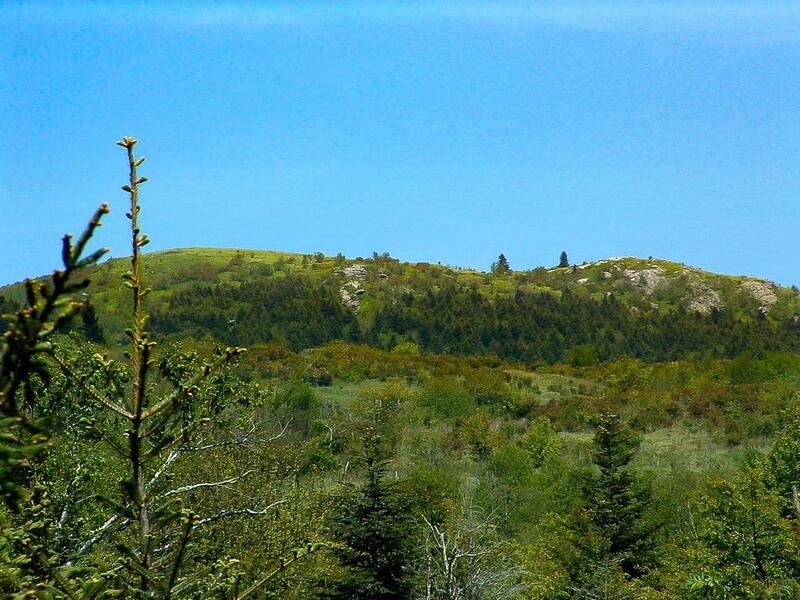 Black Balsam Mountain, as seen from the Flat Laurel Creek trail. The combination of forests and grasslands gives this area a somewhat Western mountain look and feel. Although there is no true timberline in these mountains, these mountain "balds" might make you think there is one. After these peaks are cleared, trees have a hard time re-establishing themselves, but given enough time they probably would. Naturalists think some balds may be naturally perpetuated by grazing animals or repeated fires. Whatever the cause, these mountaintops provide some spectacular views.